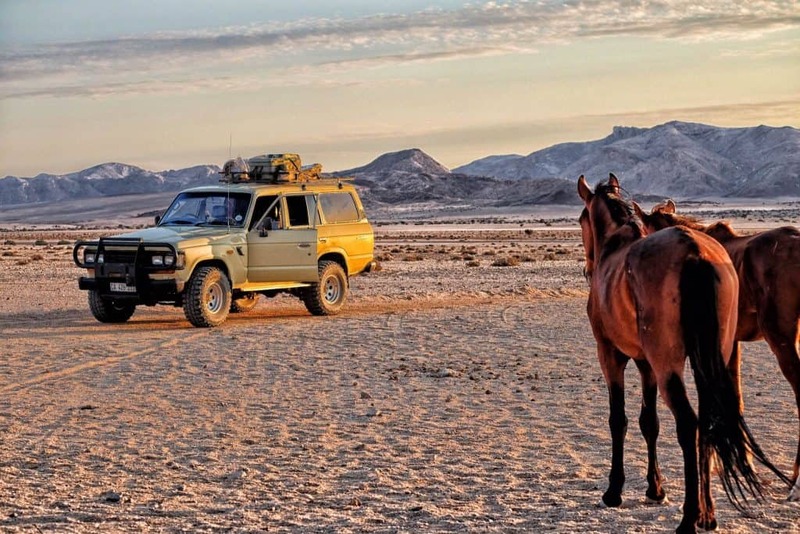 We had never read a single Namibia travel tips before driving straight into the country. When we crossed the Noordoewer border post from South Africa and into Namibia we had no expectations of travel in Namibia. We knew we were in for a month of vast landscapes, chilling coastlines, amazing wildlife, and a unique Africa. Namibia is entrancing, there is no doubt about that. It’s one of my favorite countries I have been to and I dream about returning one day. 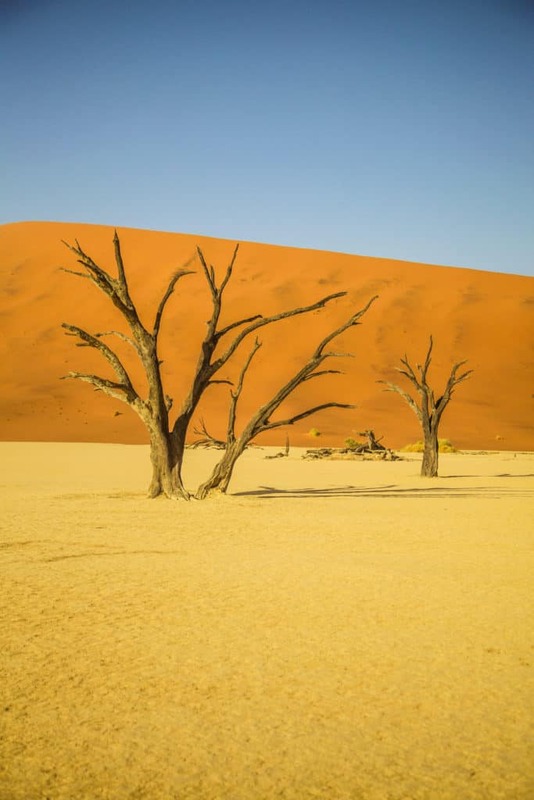 If you asked me my opinion of five places to see before you die, Namibia would be at the top of that list. 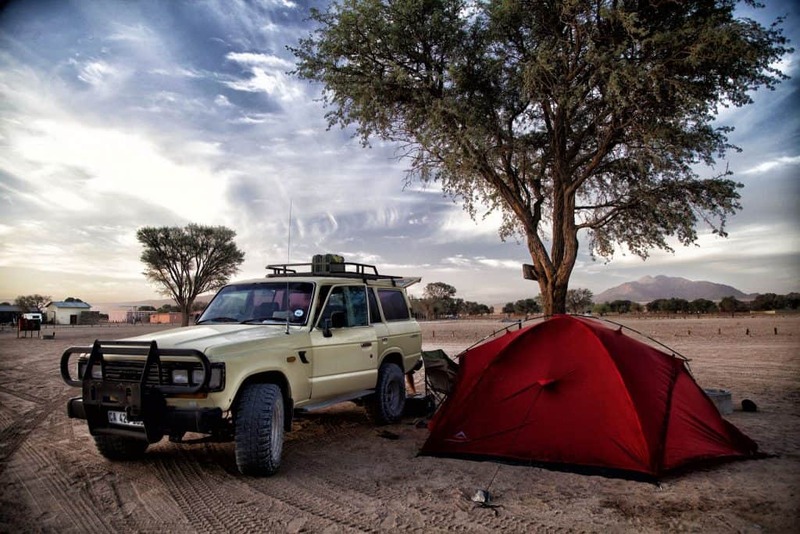 Before you do that, make sure to read our top Namibia travel tips for guidance and planning! If I could give you any Namibia travel advice it would be to rent a vehicle. 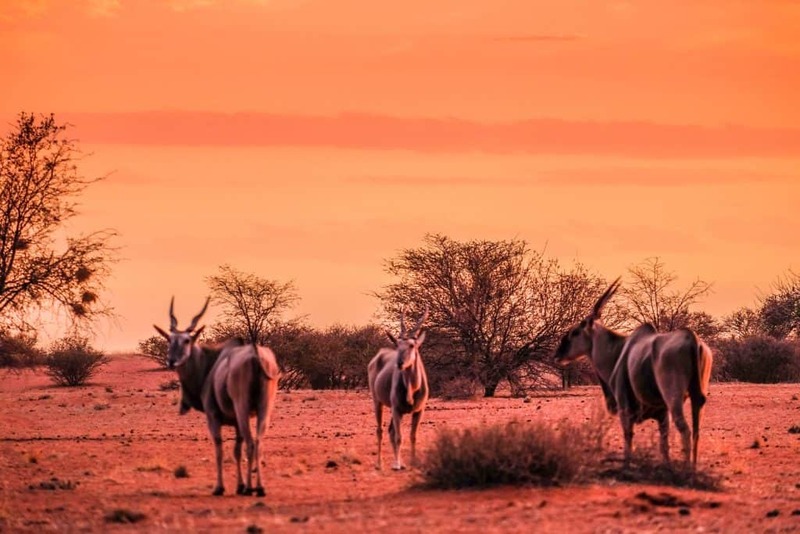 Namibia is a country you should self-drive to experience the most of its beauty. Which from the sheer amount of rental cars we saw on the roads, is not just our opinion and is a popular mode of transportation for visitors. There is so much to see and distances are vast, the only way to do it all is with your own set of wheels. Oh, and it’s really nice to be able to stop wherever you want and take photos. If you’re nervous about driving in a foreign country there isn’t much to be afraid in Namibia as the roads are largely open. 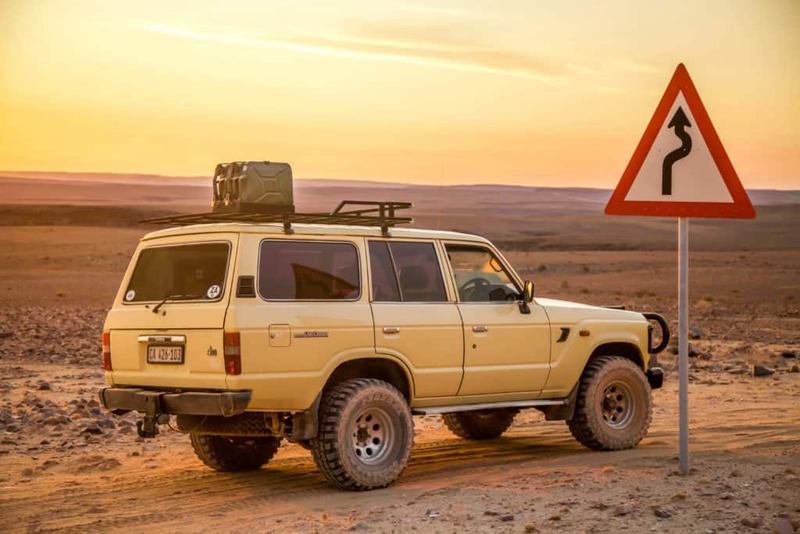 There are some real threats though that should be addressed such as corrugated roads that lead to flat tires and soft sand that tourists often loose traction as they drive too fast. We recommend self driving, but make sure to stick to safe driving practices. Then on top of that always be prepared to spend the night in your vehicle as a worst case scenario with plenty of water and food. Most importantly know how to change a tire! After just a few of these comments, we decided to re-evaluate our trip and changed our time in the country from one week to one month. 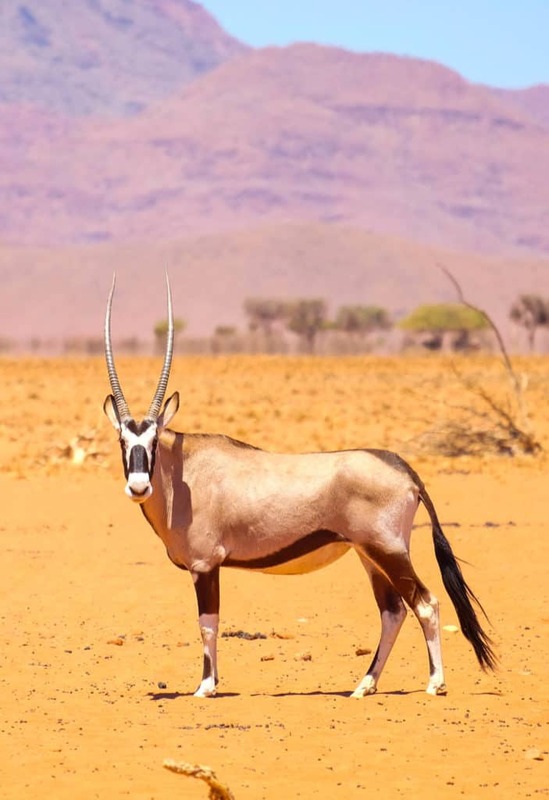 Namibia is a huge country with plenty to offer visitors. Days are hot and distances between destinations are long. Unless you are flying from point to point I would suggest at least two weeks to hit the major sights, and three weeks if you don’t want to always be rushed and spend your whole holiday driving. 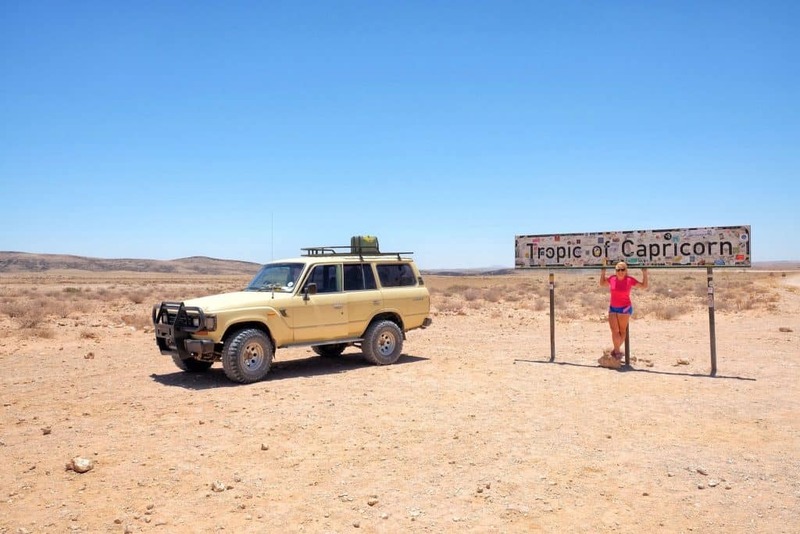 If you’re looking for a short route we’d suggest you make a short loop from the capital, Windhoek, to Swakopmund, Damaraland, and Etosha. 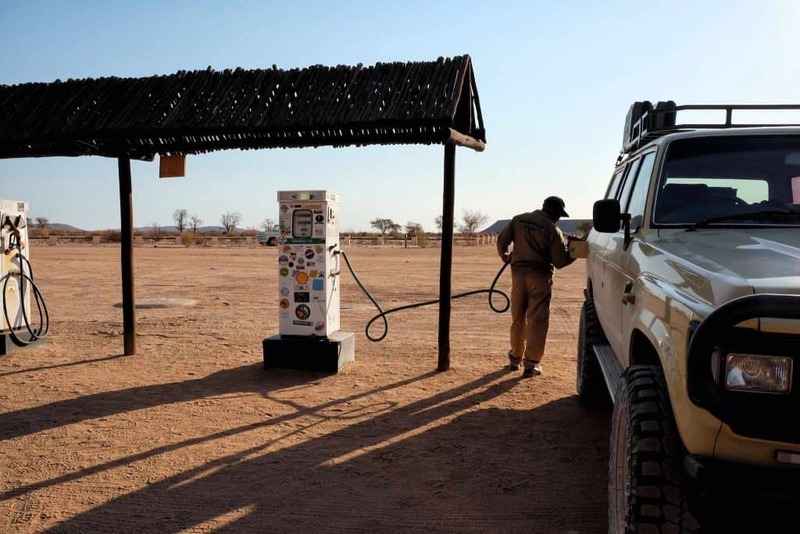 Namibia Travel Tip #3: Fill Up! If you are self-driving in Namibia then be prepared to fill up every time you pass a fuel station. Like I mentioned, the distances between towns are vast and fuel is only available at towns and the very rare petrol station. On our first day we picked up a map of Namibia with all the petrol stations marked throughout the country. We also knew the range and average fuel efficiency of our vehicle so we could plot routes safely. 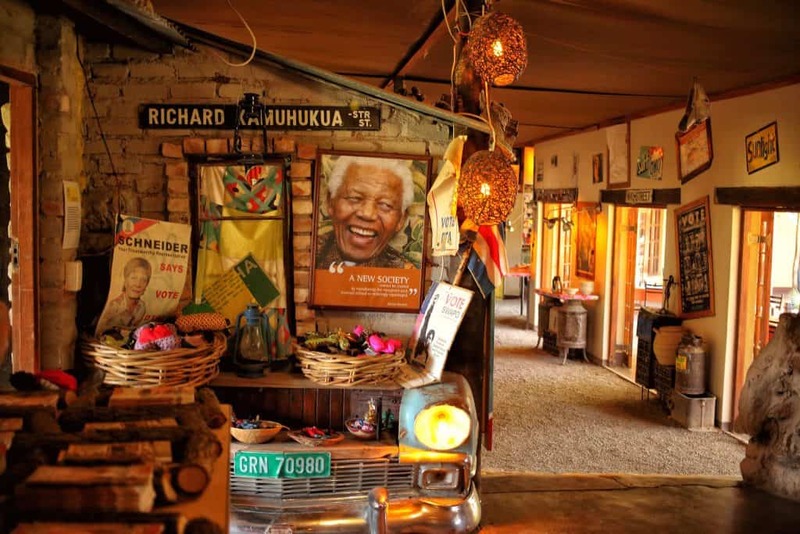 This is a key strategy the further you drive into Africa and more off the beaten path destinations you visit. If you end up stranded in a more remote region of Namibia and you could be sitting for days until help arrives. In forms of payment cash is always good to carry, but we had no problem paying with a credit card at the majority of gas stations. We saw many visitors buying or ordering plastic water bottles everywhere. The water throughout most of Namibia, and especially in the cities, is safe to drink. This may be counterintuitive in an African desert nation. 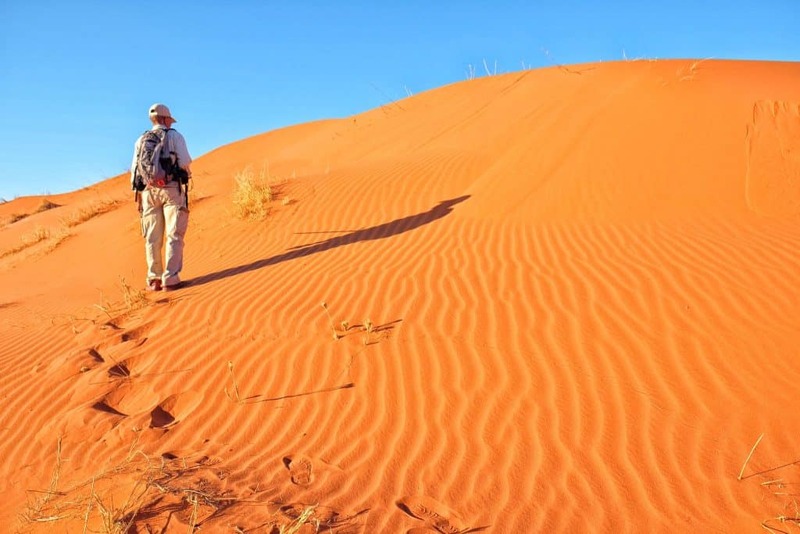 However, much the water sources are from underground aquifers that have been cleaned by some of the best natural filters on earth, the Kalahari Sands. We always ordered tap water at restaurants and lodges. In the rare case that we questioned the water, we turned to our Grayl water bottle to ease our minds. Do keep in mind this is a desert country. Turn off the tap, don’t take long showers, and in general try to conserve water at every chance you get. This is one Namibia travel tip we need to stress. It’s pretty common sense, but a lot of visitors tend to underestimate their intended destination. 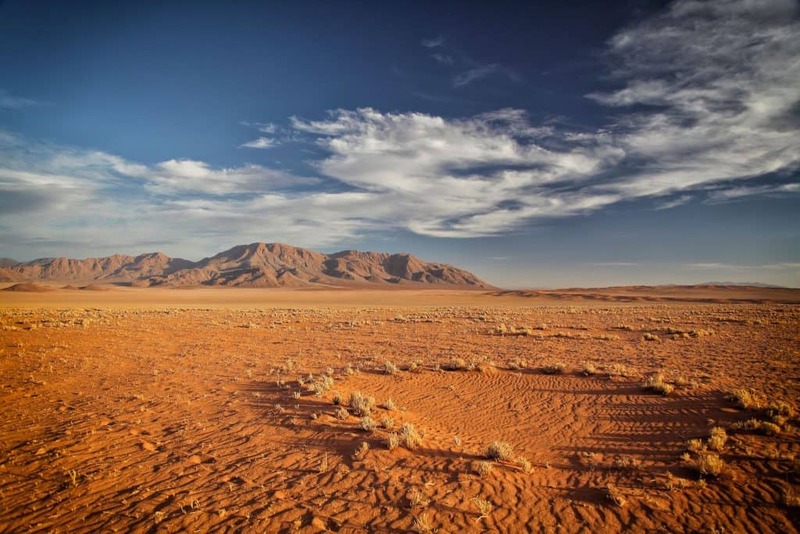 Make no mistake, Namibia is a dry desert country and the heat is intense. Heat stroke, sun poisoning, and sun burn are real threats in the country and you should take advantage of proper protection. However, be aware that during the winter months nighttime can get very cool in the desert. If you are visiting in Namibia in the summertime make sure to drink plenty of water and protect your skin from the sun. In the winter the daytime will still be warm, but for evenings bring some extra layers. We always love to travel with a down jacket, and even found it useful on summer nights. Check out Africa packing list for ideas on what to pack. Pack up any electronics well before you arrive in Namibia. The dry air and dust really seep its way into the crevices of laptops and camera equipment. Thankfully, Cameron and I both keep our MacBook’s protected with a heavy-duty laptop sleeve and protected our keyboards with a cover. Cameras are particularly susceptible to the sand and heat so it’s a good idea to buy a camera case, backpack, and lens wraps for all of your camera gear. If you’re low key with a point and shoot it’s still a good idea to wrap it in a padded camera case when not in use. Cameras and laptop keyboards are not fans of sand so do take care of your gear. We left Namibia without having to replace everything, but if you are a little more lax with your gear you may end up with some unwanted Namibian relics. Namibia just doesn’t eat electronics, though. I can’t count the number of people we saw changing their tires on the Namibian roads. The main roads in Namibia are paved, but the vast majority are gravel, sand, and salt. Add to that some heavy corrugation and it is a recipe that will eat away at car tires. Long story short, always travel with an extra spare tire in Namibia. Keeping an eye on the tires is also crucial many unknowing tourists shred their tires because they fail to watch the tires, driving on them once they’ve gone flat. As we mentioned earlier, learn to change a tire before driving around Namibia. If you’re on a tour be prepared for your vehicle to make a stop while your driver changes tires. It’s not a given, but it does occur very often. Namibia is part of the Common Monetary Area along with South Africa, Lesotho, and Swaziland. The Namibian Dollar is 1:1 with the Rand. This means the South African Rand is widely accepted in Namibia. If you’re combining a trip to South Africa with Namibia don’t worry too much about exchanging Rands in either country. When it comes to payments credit cards are widely accepted. We rarely had trouble using our credit cards in Namibia, so make sure to pick a good travel card and rack up those points. At points, we drove for hours in Namibia and never saw a soul on the road. With a population of only two million, you should expect this. If you are self-driving it’s important to know the basics of your car in case you have a breakdown – or else you could be stranded for a few hours in the heat. And most importantly carry plenty of drinking water in case of emergencies. We got sim cards with TN Mobile (another provider is MTC) for emergencies and for data use. Unfortunately, there was no signal outside of the towns, so if you think your Namibian sim card can get you out of trouble think again! This is why we would advise using MTC, which, has better coverage on the roads. The country is nothing short of breath taking. 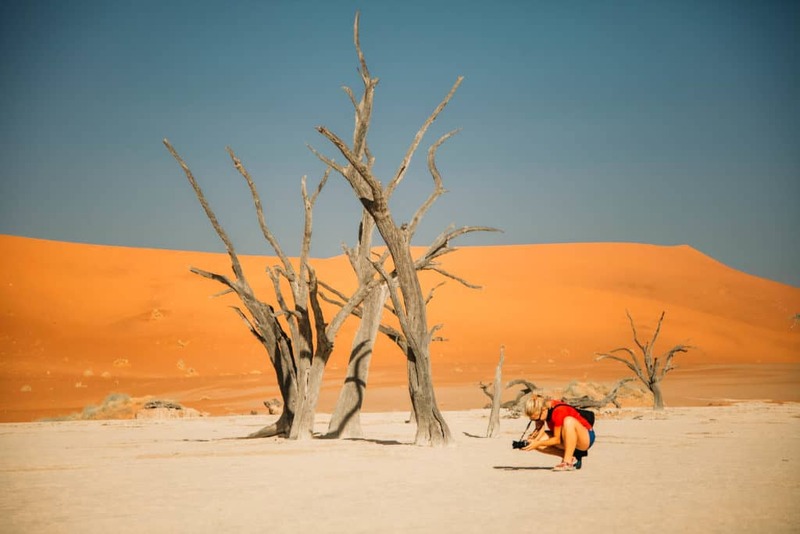 In our one month venturing around Namibia there were numerous instances where we were left in awe at the sheer scale of natural landscapes in this country. 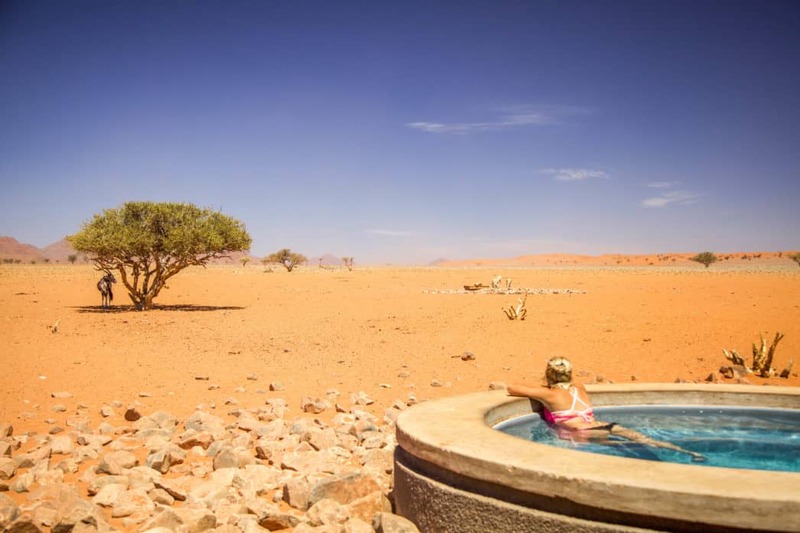 The days here are extreme contrasts as the Namib Desert goes from a fiery warm in the day to a deathly cool at night. And when the lights go out at night a fireworks display of stars comes out on display. In all our travels it’s still tough to think of a landscape that invokes as many feelings as Namibia. After three weeks in Southern Namibia we almost forgot about the existence of trees. The closest thing to a tree we saw during this time was the famed quiver tree, not technically a tree, and the fossilized ones of Deadvlei. Some of the most recognizable landscapes of the South are rocks, dry river beds, canyons, and sand dunes. Granted, all of those features are on the grandest scales on earth with the second largest canyon and the largest sand dunes. When compared to Northern-Eastern Namibia or the Caprivi Strip it feels like another world. Namibia isn’t all dry desert, you just have to travel a little bit further and explore! The Caprivi strip is the fertile part of Namibia that few travelers cross, unless on their way to Chobe National Park in Botswana. South Africa wasn’t the only country under an Apartheid regime. Namibia (which used to be South West Africa) also had laws separating white and black people. Apartheid wasn’t as bad in Namibia as in South Africa, but it left a deep social divide that can still be seen today. The wealth divide is still vast, a pronounced social issue that remains to be fixed in present day Namibia. 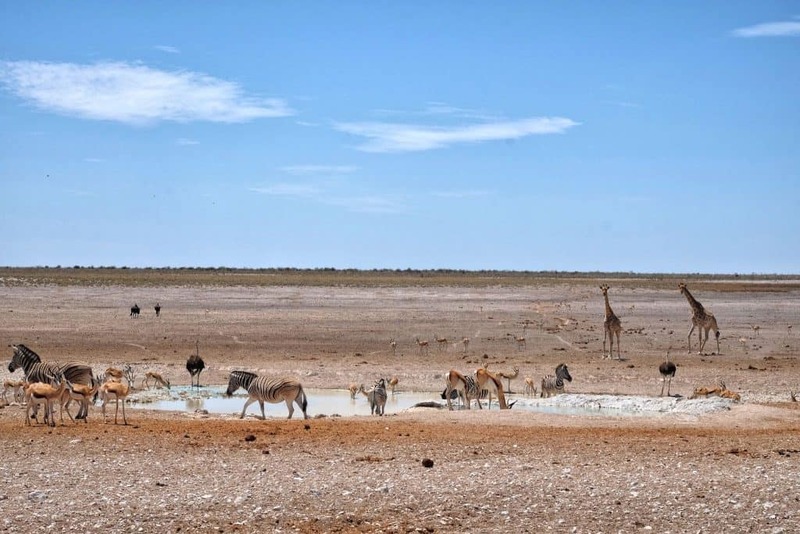 We found Etosha National Park to be one of the greatest wildlife spectacles in Africa! Within one hour of our game drive, we had already seen giraffe, zebra, jackals, ostriches, wildebeest, and lions! I’m not sure if the best part was the abundance of safari animals or the fact that I only paid 80 NAD ($5) to enter and there were hardly any cars on the road (unlike the Kruger). Truthfully there are better places for a safari, but you’ll have to pay a lot more. 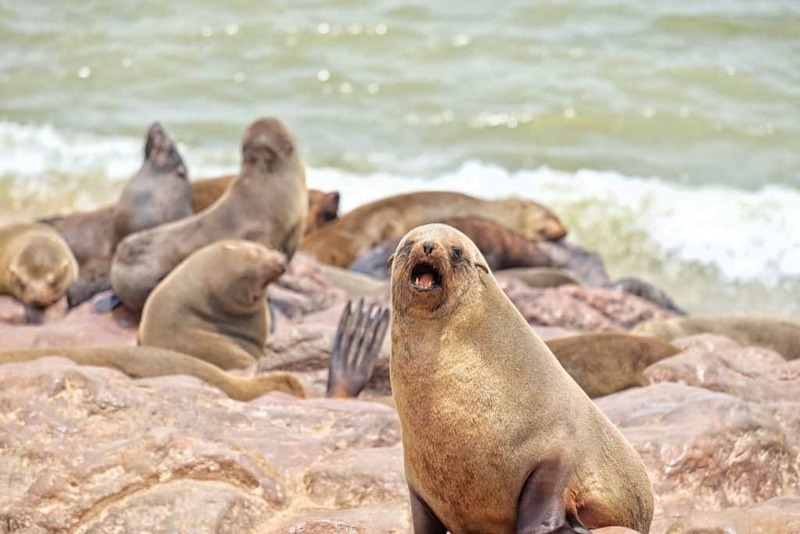 Not only are the national parks impressive, but we also smelled our way past thousands of Cape Fur Seals and their pups at the Cape Cross Seal Colony, got lost in pink with the flamingos at Walvis Bay and tracked down hundreds of oryx in the desert with our Land Cruiser. 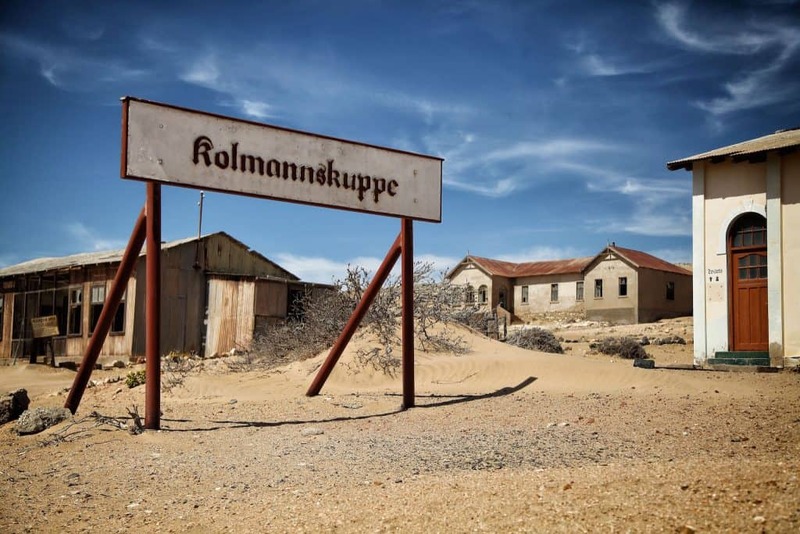 Namibia was colonized by Germany in the 19th century, and much of that German influence is still prevalent today. 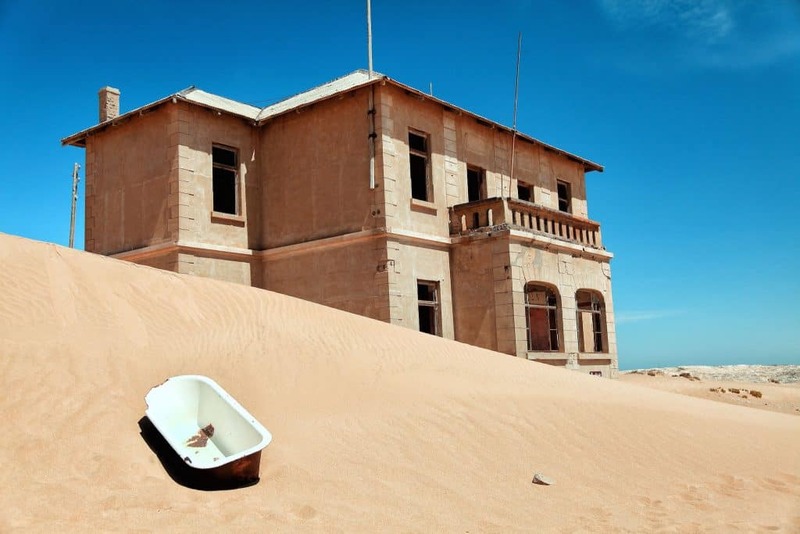 Swakopmund and Luderitz show stark evidence with their art nouveau architecture, monuments, beerhouses, and meaty cuisines. At least 30,000 Namibians speak German and names like Hendrik and Hans are common. Not only is the country a little Bavaria, but just about every foreigner we met in the country was from Germany. Namibia is quite the hotspot for Germans right now so practicing your beer drinking skills may be useful. We found the food in Namibia to be very meaty and you may even get a little glance if you tell a Namibian you don’t eat meat. Despite this, we found it possible to still be a vegetarian in the country. Grocery stores are decently stocked with many produce imports from South Africa. Cities like Windhoek, Swakopmund, and Luderitz also offer many western luxuries like coffee shops and even pizza parlors! 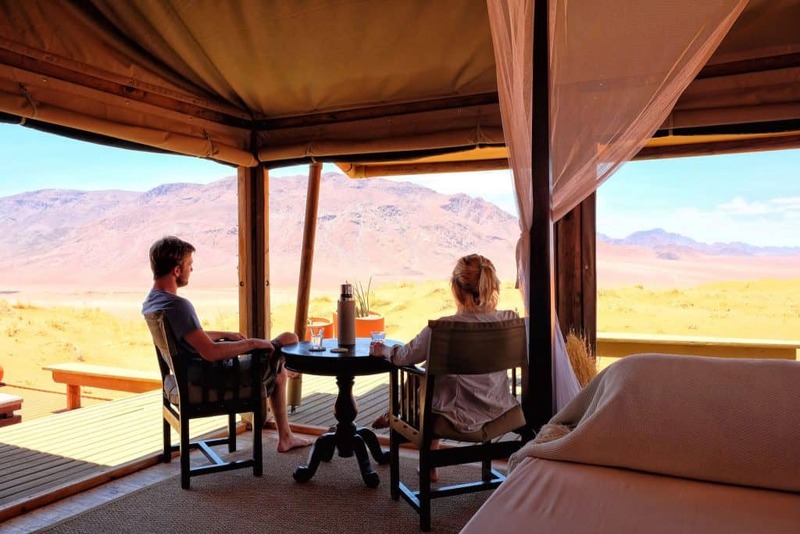 If you’re staying at a lodge in Namibia make sure to tell them your dietary requirements beforehand so that they are prepared. 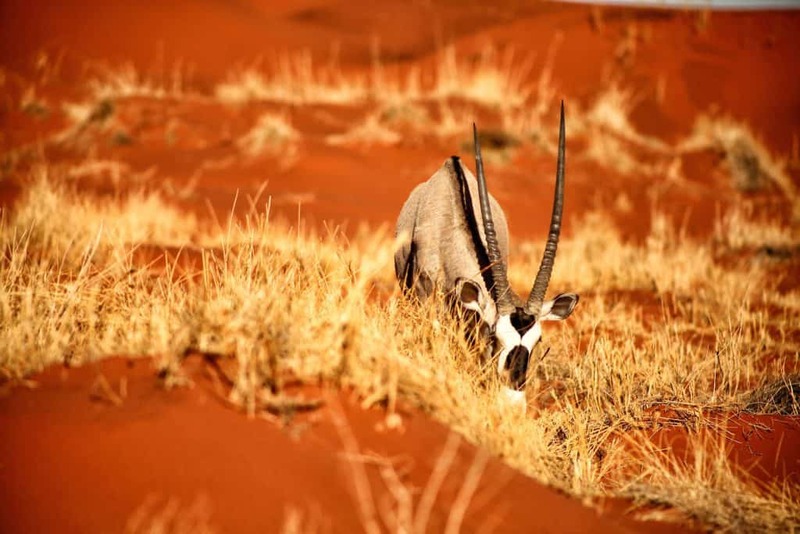 Namibia Travel Tip #17: Namibia is Safe! We never once felt unsafe or threatened in Namibia. I also believe that solo female travelers will have a pleasant time traveling the country and shouldn’t face any annoyances. In saying that, we decided to skip out on Windhoek as we didn’t want to travel the country to spend time in a capital city. Windhoek does not have a reputataion for being a safe and clean city, and there is so much more to Namibia than the capital, so I would definitely not recommend staying a long time there. 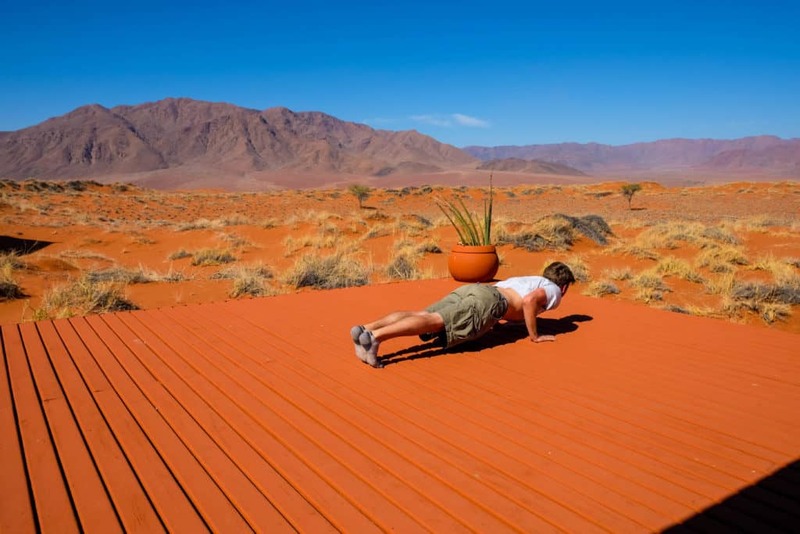 Skin cancer is for real – especially in Namibia! Don’t forget your SPF when traveling to the around Africa. We recommend ordering some online before leaving the house as you will need it underneath the African sun and it can be very hard to find outside major cities. The Grayl water bottle system purifies water vs. filters which removes viruses and virtually removes all threat of waterborne illnesses. 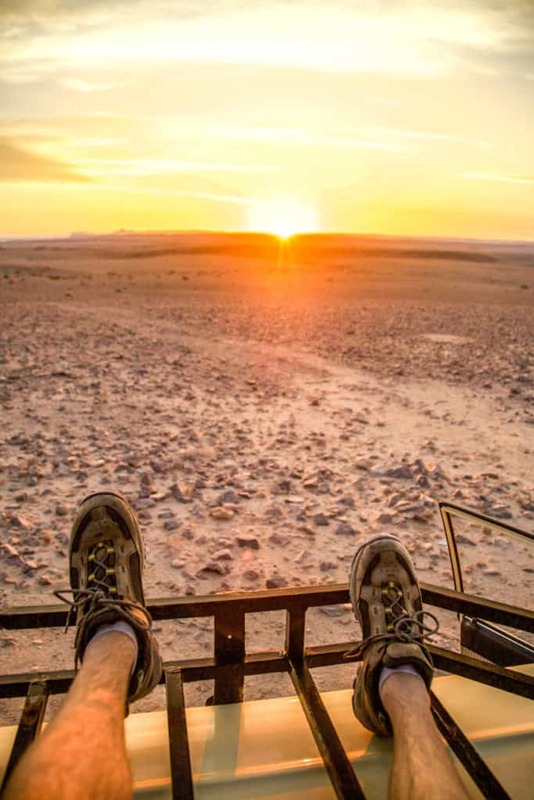 Traveling Namibia on your own can be daunting to many travelers, but it is well worth the hassle. However, there is no need to fear if you don’t prefer this. 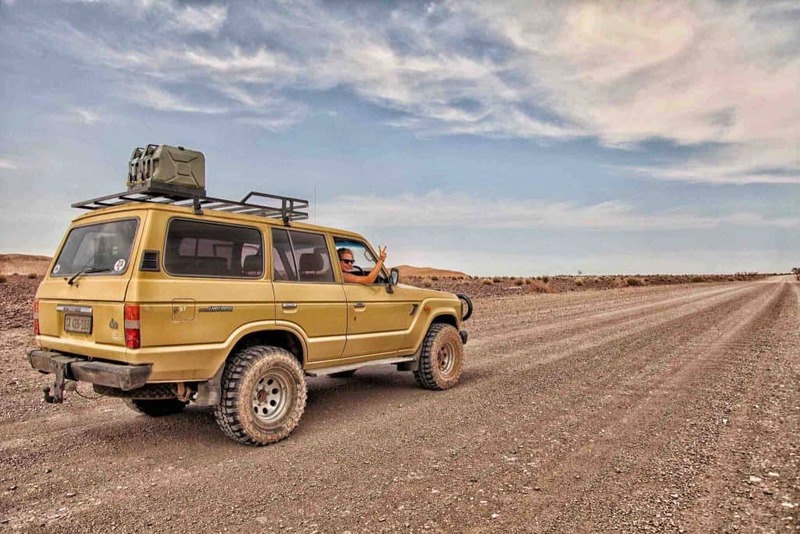 There are many overland tour companies who will show the ropes and a great time. You can check out some of them here to compare the different companies and possibly score a discount. Namibia looks so lovely! 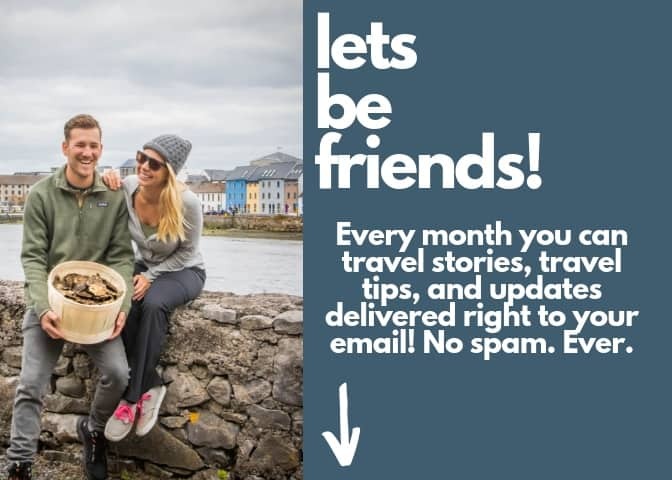 You post some amazing pictures, do you think that it is safe for a solo travel there? Yes, it’s definitely safe. Our only tip would be that to exercise regular caution around the Windhoek. Then outside of the city keep in mind it’s a desert country. (We still haven’t forgot about the Spaniard we found alone on a corner with no water in the middle of no where.) If you feel a little nervous there are plenty of companies that offer group tours for a pretty affordable price.